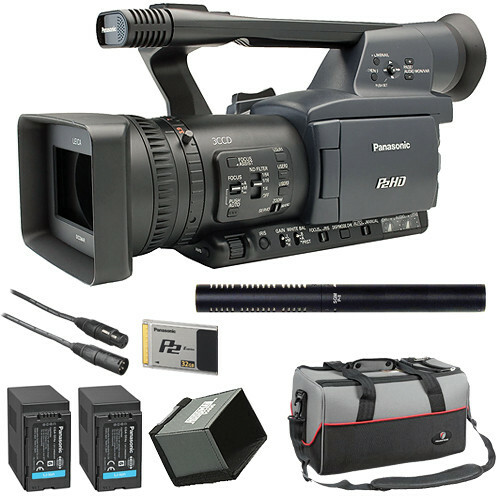 The AG-HPX170 is an ultra-mobile P2 HD handheld camcorder featuring full, 4:2:2 independent frame production quality HD and solid-state recording. The lighter HPX170 is fully solid state, and comes with a host of enhancements including a 1/3" progressive 3-CCD imager system, wider Leica Dicomar 13x lens, an HD-SDI interface, metadata input and management. 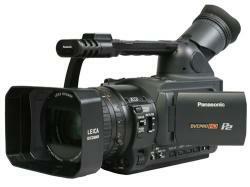 The HPX170 has two P2 card slots and records in 20 HD and SD formats. Its newly enhanced 1/3" progressive 16:9 3-CCD imager delivers an excellent signal-to-noise ratio, lower noise/smear, and exceptional low-light performance. High-end features like Dynamic Range Stretch (DRS) which allows for better control over highlights and shadows in run and gun situations. The digital signal processor with 14-bit A/D conversion and 19-bit processing assure high-quality recordings necessary for top-level production and broadcast. Because the HPX170 scans the initial image at a 1080p/60 and all cameras processing happens at his level. Because of this images maintain the highest quality possible up to the final conversion for compression and recording. The HPX170 is ideal for professionals looking to take full advantage of the reliability and flexibility of the fast, file-based P2 workflow. Signal System NTSC 1080/60i, 30p, 24p 720/60p, 30p, 24p 480/60i, 30p, 24p Image Device 3-CCD, 1/3"